Thank you very much!! See you in Madrid next year!! ICAT (International Conference on Artificial Reality and Telexistence) is the oldest international conference on Virtual Reality and Telexistence. ICAT is open to all who are interested in this field. ICAT has had many speakers from all over the world presenting their latest research. 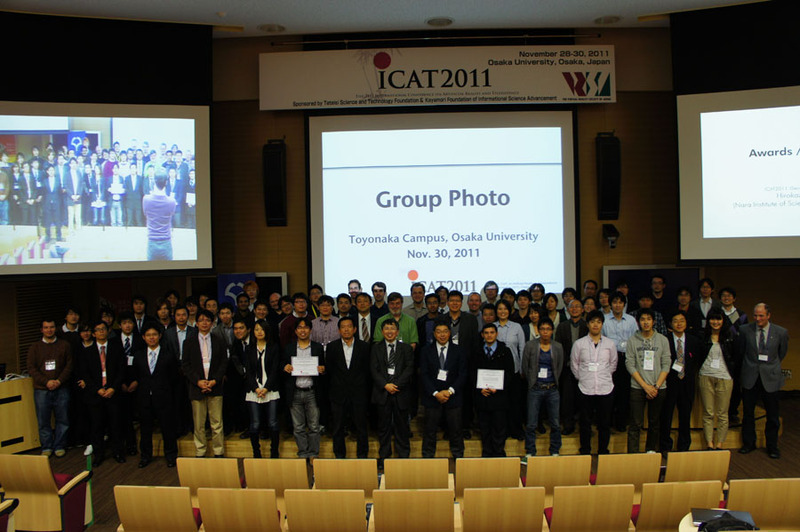 ICAT 2011 was held on November 28 – 30, 2011 at Osaka University, Osaka, Japan. We welcomed 113 participants this year and had 4 keynotes, 20 technical papers, 21 posters and 17 demos. Now you can watch movies recorded during each session at Program page.